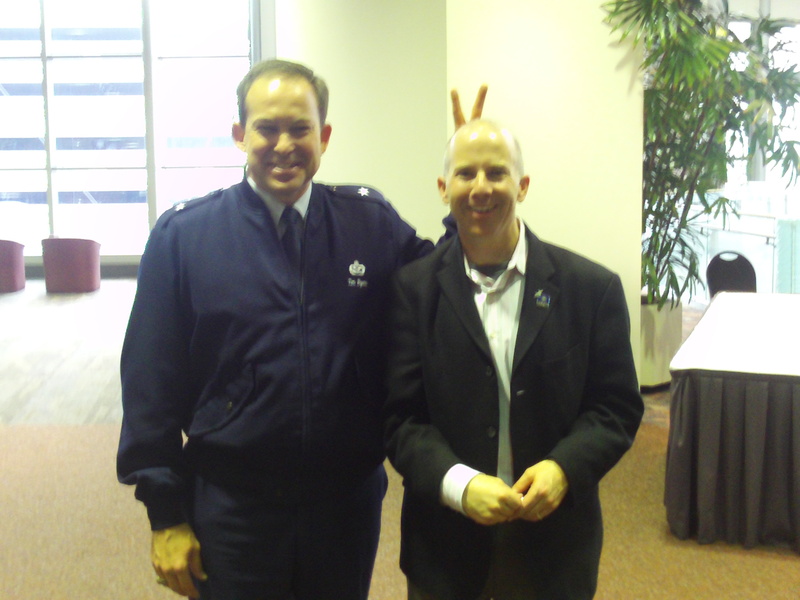 We were going through some photos here at the office and found this fun photo of Brad with General Byers at a military conference in St. Louis. What I love about this photo is that it proves that some of the most powerful people in the military are able to have — and demonstrate a sense of humor. Thanks General Byers. It was a total honor to work with your team. As a motivational speaker one of the most requested marketing tools is our preview videos. Well…. wait for it….here is our newest version of the preview. It was filmed live over 4 or more keynotes and we think it’s pretty spiffy. What do you think? Leave a comment and let us know. Ok, the wait is over. Here’s the latest motivational speaker preview video baked fresh just for you. Funny Motivational Speaker, Keynote Speaker, New Video Owner! PS. 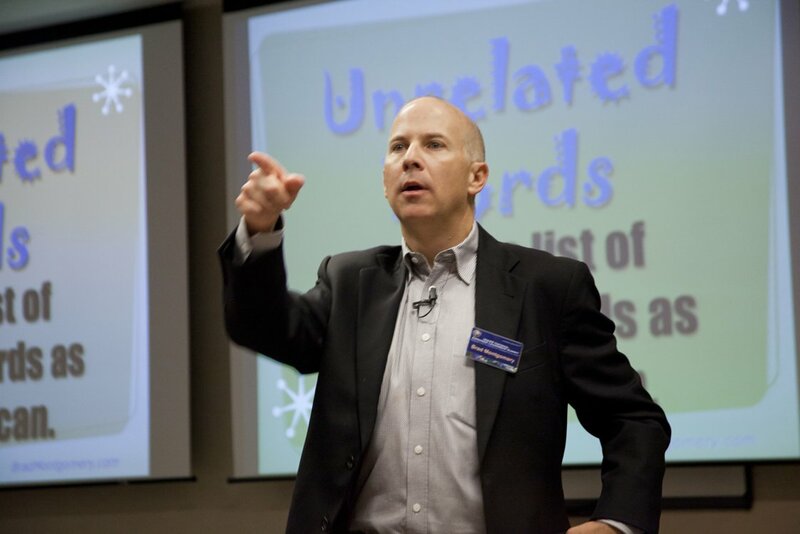 Check out other videos of my keynote and motivational breakout sessions. 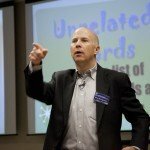 Looking for a motivational speaker for your event? <a href=”http://http://www.funnymotivationalspeakers.com/contact”>Contact me here</a>. 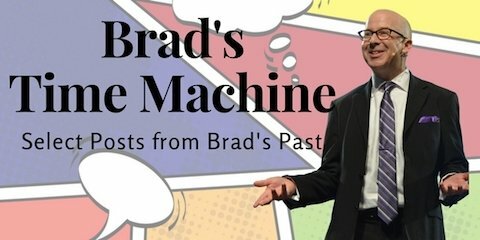 https://www.bradmontgomery.com/wp-content/uploads/2018/11/logo-1-495x198-1-300x120.png 0 0 admin https://www.bradmontgomery.com/wp-content/uploads/2018/11/logo-1-495x198-1-300x120.png admin2011-12-15 06:16:192011-12-15 06:16:19My New Video Is Here! Just now back from Lowell, Massachusetts where I worked for Enterprise Bank. They have a yearly wellness day where they get their staff together, them the latest news about the bank and then they bring in a motivational speaker. Yippee! That’s me. It was fun an funny. It was great to see the group laugh as we poked fun at everything from their founder to their recent (and impressive) awards to the way the stage was decorated. But most of all we delivered a motivational message of appreciation and the joy to be found in delivering an outstanding customer experience. Financial banking speaker? You betcha! Brad: What? What? Did I miss something? What did I miss? So here’s the deal. We’re going to talk today about connecting fun and **** with excellence and what I love about them is you already get that. Enterprise, you guys are experts at this. You know, fun place to work, whatever. Next speaker: Well, we have two sessions that Brad’s speaking at. The morning session’s already happened, got a lot of great feedback. People loved it, lots of laughs and we are looking forward to his afternoon performance. Brad: What if I gave you a couple of specific ways to stay happy, to remind yourself to stay happy? Would that be helpful? Of course it would because we spend so much of our time at work. Doesn’t it make sense to invest some energy, some calories into making sure that time at work is fun? And the science backs us up. We know this. We know that if we are better, or we are having fun at work, we are better at work. We’re healthier, right? Wellness? We saw that. We’re healthier, we are better, we are more resilient. We’re everything we need to be. Customer experience is easier. I just dropped that customer experience in there because it’s in my contract, so.